AT&T and a Google-born moonshot project have teamed up to beam cell service to hurricane-ravaged Puerto Rico from giant floating balloons. It's called Project Loon, and it was developed by X, a former branch of Google that became part of Alphabet (GOOG) when the company restructured. The idea is to broaden coverage using balloons that function like mobile cell towers. 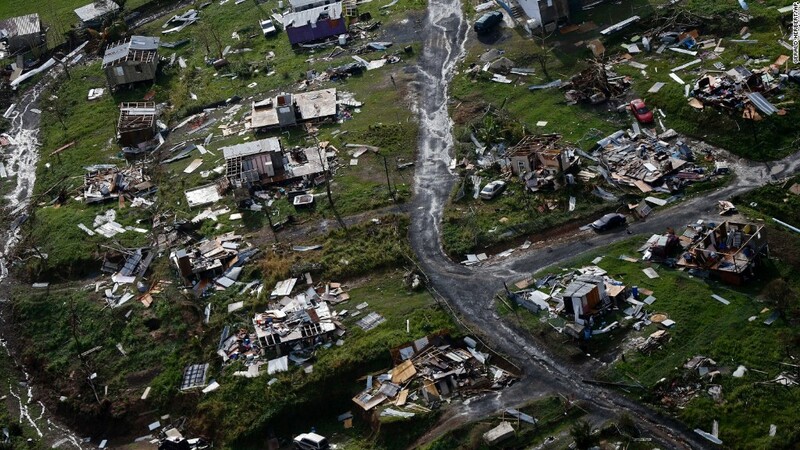 To bring the service to Puerto Rico, X needed a telecommunications partner in the area. That's where AT&T came in. The companies said Friday they are "now supporting basic communication" for "some people with LTE enabled phones." People will be able to use the "limited" Loon service to access the internet and send text messages, though the companies couldn't say how many customers may have gained new access to coverage. The Federal Communications Commission said up to 30 balloons can fly. An X spokesperson said there's already a "handful" of balloons in the region and more are on the way. The island's fragile infrastructure continues to impede companies, including AT&T, from restoring service to many areas of the island. So, they've turned to alternative technologies. Temporary satellite-based cell sites are serving some areas. And the goal for Loon is to reach the hardest hit parts of the island. But there are limitations: A spokesman for AT&T (T) said the balloons are solar powered, but can use battery power when the sun is no longer out. A spokeswoman for X explained that Loon coverage is therefore even more limited at night. Loon did prove to be effective for flooded areas of Peru earlier this year. X said the reason Loon was up and running so quickly in Peru was because the group had already been working alongside Telefónica (TEF). Their systems were already integrated and tests were conducted in the months before Loon ramped up its internet coverage. In Puerto Rico, however, X essentially had to start at square one. The Federal Communications Commission issued an "experimental license" to X on October 7, and at that point, X still did not yet have a telecommunications partner for the project. "We've never deployed Project Loon connectivity from scratch at such a rapid pace," Loon project director Alastair Westgarth said in a blog post Friday. "Project Loon is still an experimental technology and we're not quite sure how well it will work, but we hope it helps get people the information and communication they need to get through this unimaginably difficult time."